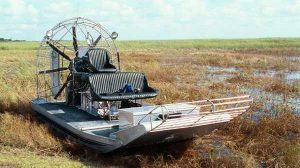 Just in the last week, two airboat accidents have resulted in a fatality and serious injuries to airboat passengers. One last week when a 31-year-old passenger’s hand was severely injured when it came into contact with a blade of the airboat, and most recently, a tragic airboat incident caused catastrophic injuries to a 22-year-old University of Miami graduate, Elizabeth Goldenberg, who later died from her injuries at Kendall Regional Medical Center. Many facts surrounding this latest incident are still unknown, other than the airboat flipped over somehow and caused all on board to be ejected. Irrespective of what the investigation will reveal, in every single boat tour incident where a passenger sustains an injury, it is discovered that operator error (whether small or blatant) is the main cause. Most recently, a lawsuit filed by our firm on behalf of a New Hampshire client against an airboat tour operator in the Everglades yielded a significant confidential settlement for the grave injuries she sustained that were caused by a careless driver for speeding, for crashing the airboat into trees, and for deviating from known safe routes and paths of travel, putting all passengers, including our injured client, at risk of injury. The variety of boat tours in South Florida requires wide knowledge of the law and litigation experience. Requesting the Florida Fish and Wildlife Conservation Commission investigation is a paramount first step in obtaining early information surrounding the circumstances of an incident, the mechanics of injuries, and potential causes. Another capital element for every boating incident found in the FWCC’s incident report is the pin-point location of the incident. The location of an incident in the Everglades will determine the applicable laws to a case (Florida law or Federal Maritime Law), and the types of damages an injured passenger can and cannot recover. This carries the important consequence of having to strategize early in order to maximize the client’s recovery. Over the last 40 years, Ira Leesfield, of Leesfield Scolaro, who has tried cases in Florida, Pennsylvania, Illinois, and California, has fought in court against boat tour operators on behalf of clients coming from all over the country, while pushing the Florida Legislator to pass more stringent regulations to be imposed upon boat tour operators. These efforts have resulted in millions of dollars in settlements to clients, and more importantly they have convinced the legislator to adopt laws that have helped decrease the number of tragedies in the Everglades and off Florida’s water coast, most notably in the jet-ski and parasailing industry.